My mother in law told me something she used to do when money was tight...you make a pot of coffee. when you make the next pot, you add half as much as you would for a regular pot on top of what was already there. The taste is just fine, you save 1/2 the coffee. Just don't let it be too long in between pots. True. My hubby does this sometimes too. :-) Thanks LuAnn. Nice post and I just learned something from LuAnn's comment. I just tossed some used coffee filters into one of my plants. Nice blog! 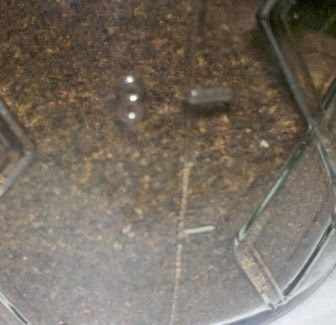 I spread them around the outside ot the house and around garden , ants hate the smell. 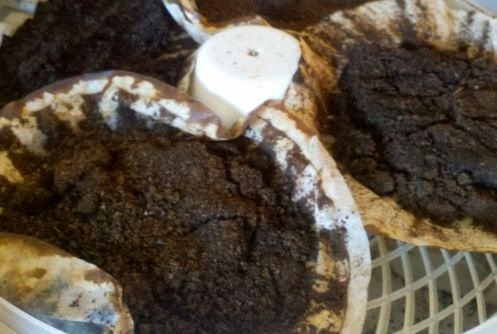 Would it be ok to refrigerate the coffee grounds until I have a Dehydrator full?